Who needs more backgrounds, I ask?! We do!! I sure like choice and I thought you may too. 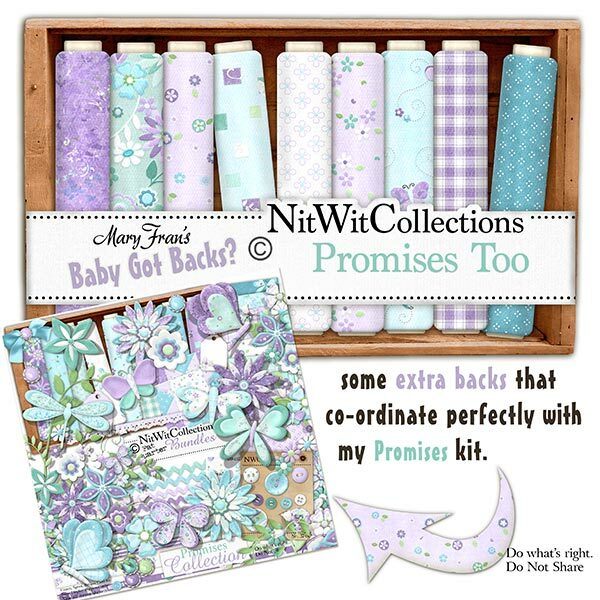 "Promises Too" gives you more choice for background papers for your scrapbooking layouts and to make cards with. These papers are different than the background papers in the "Promises" FQB and Solids.